Looks like our very own "puto" here. Yummy!!! BTW, I tagged you. Take care. Dosas are completely new to me but I've seen them mentioned online recently. I can't wait to give your recipe a try. 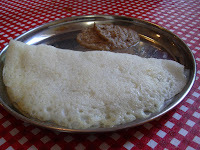 Happened to visit your blog and wanted to tell you that its really great to see all the authentic iyer foods. 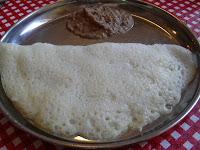 I have a question regarding Kuzhu dosai, should the KUZHU be added before fermenting or after fermenting?